New from Rule Pool Systems comes the finest pool cover pump ever designed. 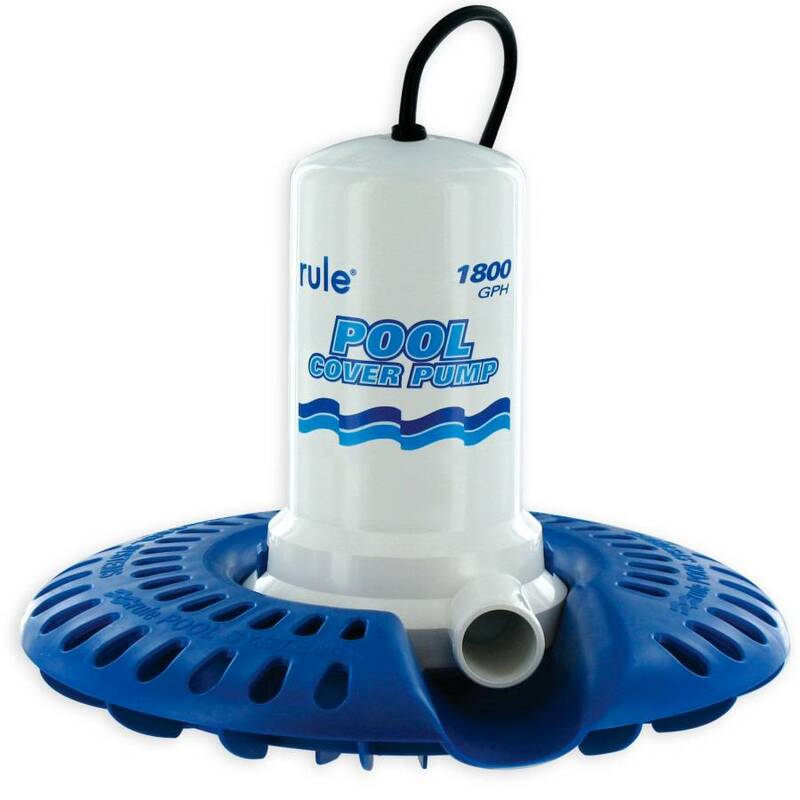 The Rule pool cover pump system features a powerful 1800 gallon per hour automatic submersible pump with a specially designed strainer base that filters out leaves and debris. Water doesn't stand a chance against it! Just attach a standard garden hose and plug in the pump. Starting and stopping is completely automatic. The pump will continuously monitor the water level on the cover and when enough water enters the bottom of the pump, the pump turns on and removes it. The pump also features freeze protection, so ice will not hurt it. You can leave it on all winter long. Use it wherever standing water accumulates. For water applications only. Pump material: Acetal plastic housing and strainer base, glass-filled nylon impeller, stainless steel shaft and Teflon shaft seal. Freeze Protection: A protective circuit prevents damage to the pump in the event that it becomes embedded in ice or the impeller becomes jammed with debris. 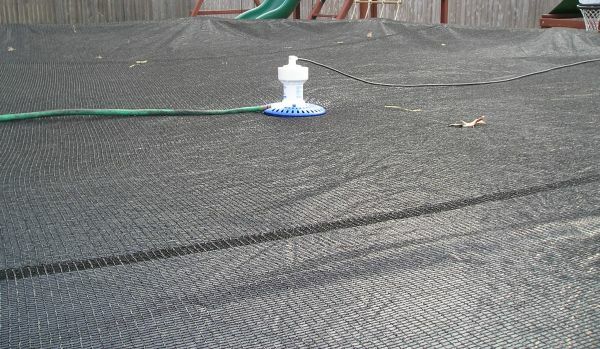 Inlet: Screened for easy cleaning. Outlet: 1-1/8" Hose connection (Includes a 3/4" garden hose adapter). Electrical: 1/4 HP, 115 volts, 1 phase, 60 Hz, 1 amps,100 watts, 16/3 SJTW 24' power cord with 3-prong grounded plug. Maximum Liquid Temperature: 104 degrees Fahrenheit . Automatic operation: Turns on at 1", off at less than 1/2" . Capacity: 1800 GPH (30 GPM) @ 0' *** 1250 GPH (21 GPM) @ 5'*** 700 GPH .